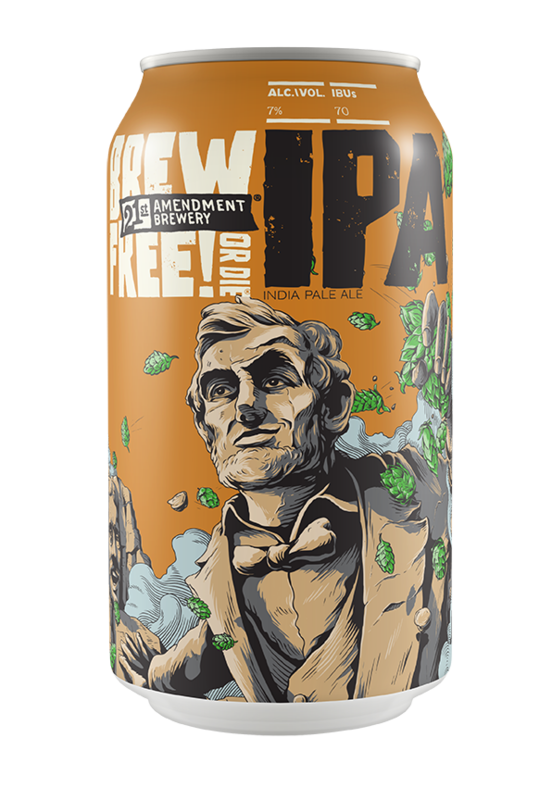 Like Abe, we believe in freedom. Freedom from the notion that IPAs should only assail you with bitterness. And from the idea that a big, balanced, hoppy beer can’t possibly come in a can. We believe that those who have tasted freedom shall forever brew free. Brew Free! or Die IPA is available year-round in 6 pack cans, 12 pack cans, and draft. Our golden West Coast IPA is perfectly balanced with a solid malt backbone and just the right amount of hop flavor and aroma. Taste Freedom.